I’ve promised to create more downloads and materials connected with learning English, so today I have the first of a new generation of guides for you! 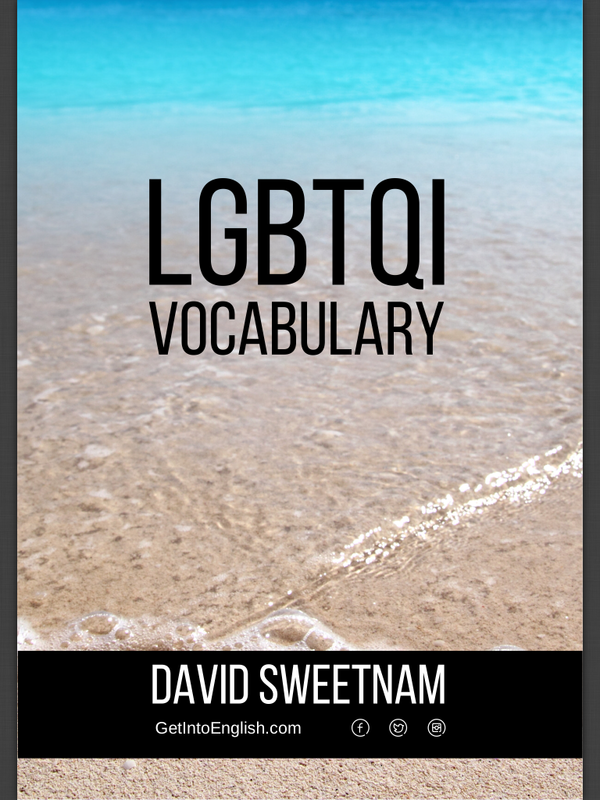 While I already have many downloads on this site, for example here, I’ve prepared this guide to Gay-LGBTQI Vocabulary using different software compared to the previous documents. It should be more reader-friendly and something you can access on the go on your iPad, iPhone or another mobile device. My goal is to create e-guides of about 5-20 pages on all kinds of English topics, such as grammar, fluency, and vocabulary. They will be also be available on Amazon. After that, I’d like to publish my own book on learning English. If you have a suggestion on what I could do for the next topic, please feel free to leave your ideas in the comments section below (also please let me know how the guide suits your mobile device, as it might appear differently than on mine). This guide is an updated version of this post written last year. I hope you’ll find it interesting! This is a presentation of gay and lesbian vocabulary – it is recommended for adults and mature audiences based in Australia. If you are located outside of Australia, please be aware that the vocabulary does concern topics that might not be suitable for download in your country. I’ve browsed the document and it looks great. You can definitely have this published and it seems you are already doing that. As soon as I have some free time, I will read the whole PDF. Thanks for making it available for free on this site. You probably have far better content than others selling their books on Amazon. Happy New Year! And thanks for your comment. I’ve just added a new PDF which you can download to your phone. It’s based on what I’ve seen from learners here in Melbourne. Given your level in English I’m sure you could write a lot about your journey! This year I’m studying more French and I’d like to add that to my posts, from a learner’s perspective.